Here's an artificial star test. A single image with a handheld iPhone that really doesn't do it justice. It looks out of collimation cause it was almost impossible to hold the phone steady. Visually its a nicer cleaner image. Here's the DPAC. Hand held iPhone was PIA to capture these images cause I need to make a new baffle for my Ronchi eyepiece.. Based on 20 or so of these test I've done on SCT's this is one the best I've seen. Visually Analyzing the DPAC with four bars was just the same as this image and looked the same inside focus. We'll see how it does on first light...if it ever clears up around here! Based on my tests I think it will do very well. Edited by rolo, 27 October 2018 - 08:21 AM. Nice find! I had one years ago, was better than my ETX in every way. Wish I had kept it, great grab and go scope. A friend had the astro version, was ok but not as sharp and ended up trading it for a C5. Mine was sharp up to 225x, things got dim after that. Looks like you got another keeper! I have one that has a similar DPAC test, but visually it just does not do so well. That kind of baffles me. One of the reasons I never sold it. I do not like selling anything that does not perform well. Edited by starman876, 27 October 2018 - 09:51 AM. You have too many Ronchi bands shown in the DPAC results to be a critical test. One should do the evaluation with 3 or 4 at most, showing. 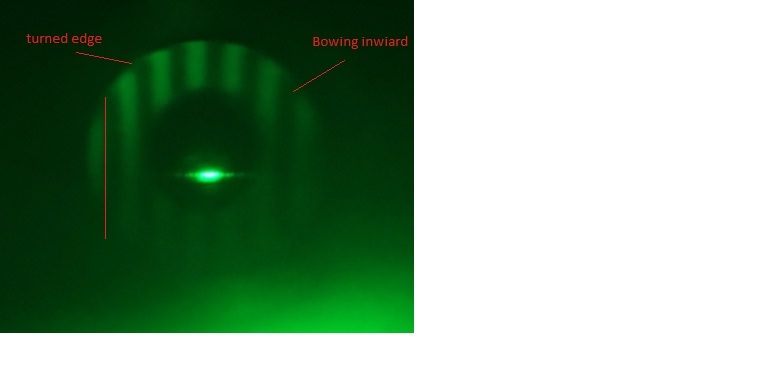 I can already see them bowing inward with the 6 showing in the images which will increase when you test with 3 of them. It also has a turned edge. On the artificial star test you have defocused too much since the size of secondary shadow is about 50% of the size of the total image. The sensitive of the test is low at this position. Also the over size of both images is not the same, this maybe just how you posted the images but it is critical in doing the test one defocus the same amount on each side of focus so the overall diameter of the of the defocused image is exactly the same . One should focus so the size of the secondary shadow is no more then 30% of the total diameter of the defocused image and go to the other side of focus and defocus by the same amount. 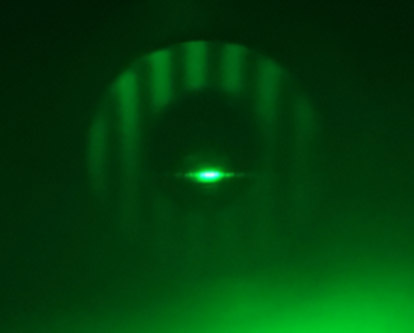 Then you compare the size of the secondary shadow on each side of focus and also the shape and intensity of the diffraction pattern. Dave is correct. I have seen many an SCT that look great at 6 bars and when you get down to three it looks like a wavy mess. 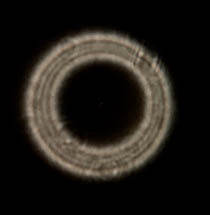 Collimation is a hair off. Maybe Rolo will do another DPAC with three lines. to set things up for testing. I go out of my way to share this stuff here and for what? No matter how you explain things folks just look at the pics and don't read the post accompanying them. Besides, no one really gives a **** anyways. Its about criticizing and pointing out everything you're doing wrong despite any explanation you give. Its just not worth it bro. Better not to post any test of any kind. I've had hundreds of scopes, have star tested most of them and studied star testing for years. I also learned to DPAC and how to interpret the results which is one the best things I've learned here if not the most valuable. Its nice to able to star test and then confirm my findings with DPAC so I know which scopes are good or worth keeping, or... Maybe I don't know Jack-**** after all! Would you like a smaller flat? That's not point, but thanks. It is not about being critical too you and I'm sorry if your taking it that way. It is about providing correct information on how to evaluate optical performance. When you do any test your collecting data then make conclusions from that data. Your making those conclusion with the believe that the data is correct. If the test is not performed correctly then the data is flawed and your conclusion are flawed. If you then present that data , others with less knowledge can then be mislead, and the results being that these erroneous methods and results are continued with the belief that they are being done correctly. This what I continue to see when it comes to the "star test". People believe they are doing it correctly, stating they have super great optics but when the optics are correctly evaluated they are not what people have believed. The same is true will double pass autocollimation and it needs to performed correctly. Take a look at this ad for a 17" mirror posted here https://www.cloudyni...lescope-mirror/ The DPAC test results show only three lines. The sensitivity of the test is very high and one can see this is a very good mirror. You may ask then why is the image of the cell tower so good. A reason could be that the tower is not at infinity, then optics that are under corrected will be much better corrected for an object that is close by, hence can produce a very sharp for an object at that distance. A spherical mirror is perfectly corrected when the object is located at 2x of the focal length but as the objective is moved farther awhile, the image contains some level of spherical aberration to it reaches its maximum when the object is at infinity. A parabola is just the opposite, having no spherical aberration when the object is at infinity and has the maximum amount of spherical aberration when the object is located at the focal length. So one needs to have an understanding of under what conditions the test is valid for the conditions your testing for. A perfect example are medical tests since for example the fact that if you don't fast correctly, the results of blood tests can be totally wrong or taking cold medicine can result in being diagnosed with high blood pressure. Sorry again and I apologize if you took my comments as an attack on you. It wasn't. I am sure many, like myself, appreciate your efforts and find your assessments valuable. Please do not stop posting your results because a few are critical. For most of us, this is a hobby and I don't see why a research grant level of scrutiny is sometimes applied to otherwise helpful and well-meaning posts. I appreciate your years of experience and your ever willingness to share what you have learned. Your photographs provide me with a basis of comparison with my own 2045 and are much appreciated. Finally the 2045 is getting due respect. I never needed DPAC jack to tell me if i got a lemon or a knock out. Good seeing and the eyeball is all that is needed. Then again you are not the scientist that some of us are who want to know every detail about our optics. Dave, I'm aware of how to do a proper star test. I've had over two hundred scopes and star tested most of them. Been star testing for decades and have extensively studied Suiter's and other's methods. The pics I posted are just for quick reference not a scientific journal. On post #18 I stated " The artificial star test looks excellent. No astigmatism, no zones, no spherical aberration I can detect and virtually identical inside and outside of focus." That was a visual test and was done with the artificial star source at the proper distance as opposed to the pic which was indoors and too close. As far as the DPAC it was crudely done. As I stated in post #27 "Visually Analyzing the DPAC with four bars was just the same as this image and looked the same inside focus. I'm no expert but I can certainly interpret DPAC results. Forgive me if I took it the wrong way but you do it all the time and it gets old. I certainly won't be posting any more pics of any of my tests. A visual description at most. Like I said it really only matters to me. I know exactly what you mean too. On a few occasions the first time I've looked through some scopes I could tell it was superior and a step above. Easily, looking at Jupiter at high powers you can tell if you have a good optic. No star test no DPAC no Interferometer no BS. Just observing is enough! So far all the scopes I've had that have knocked my socks off have tested well under dpac as well. And a couple that didn't seem so good haven't tested as good either (the Intes MK63 is an annoying for instance). Now I haven't tested them all yet, of course. Still setting up my optical bench so I can finish a couple projects coming up. I'm also a scientist, and though I might feel a pang or a twinge of pain when my science gets criticized, I really welcome it so I can improve. Edited by tim53, 28 October 2018 - 01:25 AM. When all things come together you know if you got a lemon or a knock out. Jupiter is a good test object, and even deep sky can tell you all you need to know bro. Curious minds love obtaining data. As much of it as possible. Now, when I look through the eyepiece and see what I think are really good optics I want to DPAC the scope to see if there are any irregularities in the lens. I agree the image at the eyepiece normally align with the DPAC results. However, the DPAC test lets you really know just how good the lens really is. At our age I doubt if our eyes are still good enough to be able to tell the difference between 1/4 wave and 1/8 wave. When it comes to test data, this is a public forum were other with less knowledge look at the test images posted and the text written about the assumptions made on what is being said and assume that is correct. In my world of professional scientific research when that is done, and the conclusions are wrong or the data doesn't match what is presented, I point out the issues to try to educate everyone of the errors. My colleagues all do the same. I think that anyone that works in research understands this and this is the norm. It is not an attack on the person but is meant to educate and help that those mistakes are not repeated. As for your images of your artificial star test as I said for what every reason they are two different sizes. When doing the star test it is critical that the defocused image be of the same size and the amount of defocus be small enough to show the difference. When not, it is very easy to make the images look similar and come to the wrong conclusion. I resized your images and now the differences are easier to see. First the size of the secondary shadow are different is size, indicating spherical aberration that match the DPAC results. 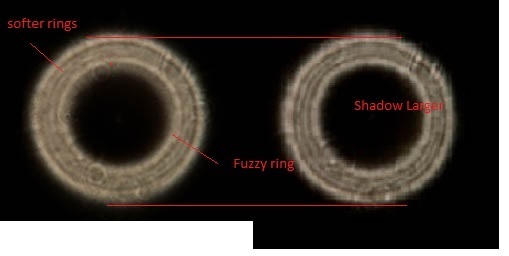 In the left image the diffraction rings are softer and there is also a large fuzzy ring on the inside that is not present in the right images.These difference will not go away with the correct amount of defoucs but only become more apparent. So again your images don't match your statement. In both the DPAC test with 6 lines showing and the star test with the images being of different sizes the sensitivity is not very high so this should result in the images looking very close to identical if not the same if the optics had no problems yet the fact the images shows differences, at these lower sensitivity indicates that the errors are not that small and when the sensitivity is increased these errors will become more apparent. This NOT an attack on you. Again I'm trying to rationalize the data presented against the conclusion and they don't match. I have to admit that I find the subject of optical testing rather fascinating. I also have to admit that every time I see the reference to "DPAC" come up, it makes me cringe. I know it shouldn't, as I tend to think this is a scientific community at heart. I think the reason behind my disdain for this discussion stems from what seems to be the prevailing attitude of it being the only test that matters, and personal opinion based on actual use is of no importance. As many have pointed out, the difference between a decent set of optics and an outstanding set of optics is generally not that difficult to see in a visual comparison. The consensus tends to be that only optical systems that present perfect DPAC results are of any use. I wonder if anyone ever DPAC'd Galileo's telescope? I might also add that in all the discussions of DPAC that arise, I've never seen hard numbers presented as to what the data represents. Then there's the hardware that is required. Just how accurate does the diffraction grating have to be? I assume it must be of some importance since the price of a diffraction grating seems to vary considerably with quality. I would assume that if one was working in a high-end optical lab, you wouldn't be using a cheap reproduction. Then you have the optical flat. Even a small four to six inch flat is not exactly cheap, and if you do manage to find one used on ebay, you're taking a chance with the purchase. I realize it's been brought up many times that a pan of oil makes a perfect flat, but there's no way I'm going to get any of my scopes in the same room with pan of oil, much less in close proximity. As I mentioned, I do find the subject of optical testing fascinating, but only to a point. I still value personal opinions very highly as there are so many more factors worthy of consideration as well. A perfect set of optics (if there is such a thing) is pretty much useless in a poorly designed and executed optical system. On the other hand, a decent set of optics in very well designed system can be a joy to use. Which will see more time under the stars? I will add that I tend to respect the opinions of people such as DAVIDG who apparently have a very high level of expertise in their chosen field. Then again, I also have tremendous amount of respect for the opinions of people like Rolo that have produced and presented astronomical images that are nothing short of amazing. I think the danger with the single-minded focus on DPAC is that it might tend to stifle valuable opinions based on personal observation, especially when those opinions are seemingly challenged and discounted on a continual basis. Come to think of it, it's about as annoying as someone saying that since they've never been able to accomplish some particular task, it just can't be done. Edited by rolo, 28 October 2018 - 01:30 PM. 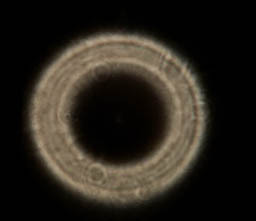 Every scope has some level of optical defects but the question is how will they affect the views. I may just go back to the Chas optical testing technique, the 3mm Delite! It's all about the views not the test.